You’ve done a thorough due diligence on the viability of the tenant for your property. Initially, you checked global watch lists, adverse media, completed a thorough financial analysis, analyzed the competitive and market risk of the tenant and its industry, and completed a thorough background and credit check on the company. Now you are following the news and updates about your CRE tenant. However, do you have a quantifiable way, at any given time, to know if you should be concerned? 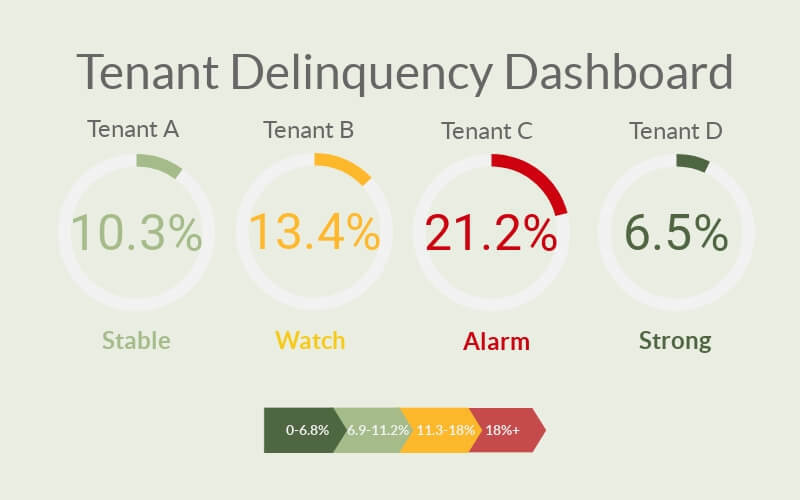 While data intelligence provides comprehensive views, leaving no stone unturned in proper due diligence, there are now more advanced statistical modelling/ AI has made it possible to predict likely tenant delinquencies and defaults ahead of time. Now, within your rent roll you will be able to predict each tenant’s stability and continuity. This means you can develop a risk adjusted NOI and revenue forecast, resulting in more realistic budgetary figures and perhaps a more balanced investment allocation. The end result is the potential for more stable and stronger growth. Megalytics delinquency score was developed by analyzing performance of numerous private companies looking at key financial and industry benchmarks. Using this small business delinquency score, we will be able to forecast the propensity of a tenant to become delinquent. While, like the weather, it is not a sure thing, you could still rely on it, like your weather app to plan ahead and take action now. You would be looking at this dashboard and while you certainly can rely on the revenue from companies A and D, you should probably call company B and pay company C a visit, unannounced. Megalytics delinquency score gives you probabilities of what your rent roll revenue outlook will be. Contact Megalytics today and get the insights you need run your assets, because you can’t afford not to know.